What makes up your "must-have" list when shopping for a new house? For my wife and I, in our next house, a fireplace is near the top of the list (along with a swimming pool, bigger dining area, and a golden-egg laying goose. Hey, we can dream right?). Does the fireplace work? Is the vent clear? Does the stack hold the smoke inside? Did the previous owners only use it as decoration, thinking it would be fun to paint it with something unsafe to light a fire near? Buying a foreclosure will make it harder to answer these questions, but having an expert inspect the fireplace before you buy can save you from a huge, expensive headache and hours of DIY projects later. Will the location fit with your furniture? If you've got a favorite couch or armoire that you'd never part with, it's important to take some measurements, and even sketch out a scaled down model of the room on paper to see how your beloved pieces will fit around the fireplace (after all, a fireplace can be slightly harder to move across the room than a couch or coffee table. And by "slightly harder" I mean almost impossible). Do you like the design? Moving out of a home without a fireplace can make it easy to excitedly jump at the first chance to move into a new home with one. But after a few days or months, you'll start to notice things about the fireplace that you wish you'd have shopped specifically for before buying the house. Take notice of the shape, the height of the mantel, the color of the brick, or, if the brick is painted, decide if you like/dislike the fact that the original rough brick look is gone. In today's market, it takes falling in love with (and putting offers in on) several houses before the right offer goes through. Don't let that frustration rush you into the next house you see. 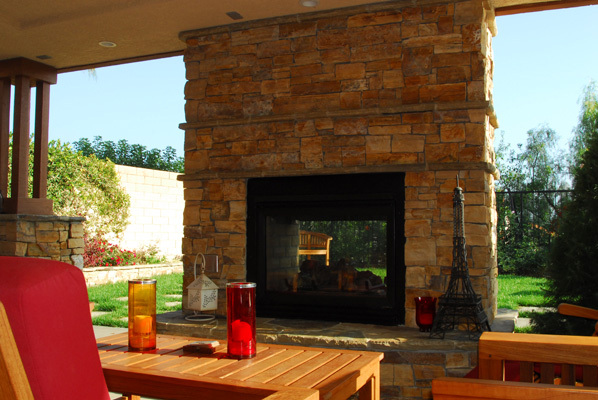 Even if you're just looking for a rental, a fireplace can be one of the most important focal points and family gathering spots in the house, if you've got the right one. So take a few minutes before leaving on your next house shopping adventure to define your favorite fireplace colors, designs, and features. It'll be worth every second when you're escaping the fast-approaching winter cold with your loved ones and a cup of hot chocolate by your perfect fireplace. Daniel hopes to one day own a fireplace (attached to a house, of course). His favorite activities include landscaping his backyard, off-roading in his Jeep, and eating. Yes, eating counts as an activity. He also works for HireAHelper - the best place to compare and book your movers once you finally find that house with the perfect fireplace.